Located in BROOKMANS PARK , readily accessible to Hatfield, Potters Bar, Cuffley, Welham Green, Welwyn Garden City, Hertford, Ware, St. Albans, Barnet, Cockfosters, Oakwood, Enfield, Broxbourne, Cheshunt and surrounding villages and areas. 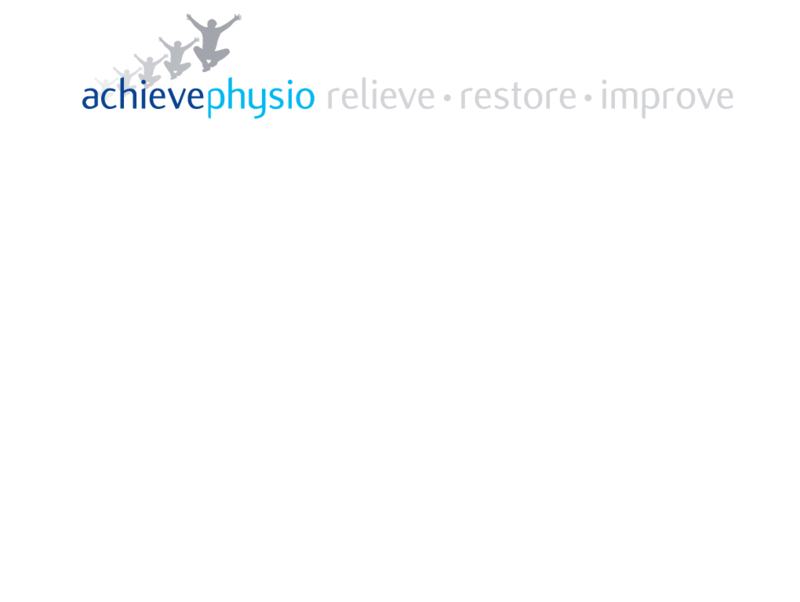 achievephysio, based in Brookmans Park, Hertfordshire, was established as an independent Physiotherapy practice in 2008 by Chartered Physiotherapist Ian J. Johnston, and accepts referrals and instructions from private individuals, GPs, consultants, insurance companies and businesses. Ian attained a Bachelor of Science Degree with Honours in Physiotherapy [BSc (Hons)] at The University of Hertfordshire, which included undertaking student placements at a number of different hospitals, including The Royal National Orthopaedic Hospital, Stanmore, The Royal Brompton Hospital, London, and The Regional Rehabilitation Unit at Northwick Park Hospital, Harrow. 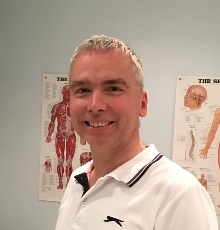 Having qualified in 1999, Ian commenced his Physiotherapy career in the NHS based at The Lister Hospital in Stevenage, Hertfordshire, gaining broad-based experience working within Musculoskeletal Outpatient, Orthopaedic, Elderly Care, Respiratory (including Intensive Care and High Dependency Units), Medical, and Community Paediatric Physiotherapy teams. Ian then chose to specialise in Neuro-Musculoskeletal Physiotherapy within the hospital, namely Physiotherapy relating to problems affecting bones, joints, nerves, muscles, tendons, ligaments and cartilage. He treated a wide range of conditions affecting children and adults, ranging from neck and back problems to post trauma rehabilitation (including fractures and whiplash), post orthopaedic surgery, and sports injuries. Ian also established and ran exercise classes for people with back problems and osteoarthritis of the knee, and provided the Physiotherapy input to a ‘Falls Clinic’ for the elderly, which included an exercise class to improve balance, strength and mobility. Ian then began undertaking work in the private sector, treating people with a variety of neuro-musculoskeletal conditions, such as those referred to above, in private clinic and occupational health settings, treating a wide range of people, from school age to the elderly, and patients have included professional and high level amateur sportsmen. This eventually progressed to Ian establishing and running his own Physiotherapy practice, achievephysio, based in Brookmans Park, treating private individuals, whether self-funded or insurance funded. In addition, Physiotherapy services are provided within the Occupational Health Department of a major national retailer working with individuals engaged in retail, distribution (including warehouse and delivery), office, catering, and vehicle maintenance activities. Finally, court/pitchside cover has been provided to youth basketball and rugby teams and at a youth international tennis tournament. Over the years Ian has participated in a number of sports and activities including rugby, football, running, hiking, judo, trumpet playing in bands, Scouts, and musical theatre (including performing). Acupuncture Association of Chartered Physiotherapists [AACP]. Association of Chartered Physiotherapists in Occupational Health and Ergonomics [ACPOHE]. A personal, caring, friendly, and professional approach to Physiotherapy, regarding the individual as a person, not merely, for example, a’ bad back’ or ‘knee injury’. An individual attending for Physiotherapy is referred to as a ‘patient’ in order to reflect that they have an health related issue, and are party to a caring, therapeutic relationship, rather than a business arrangement as could be inferred by terms such as ‘client’ or ‘customer’. Patients are assessed and treated personally on a 1:1, face to face basis by an experienced Chartered Physiotherapist, not remotely via a ‘call-centre’; or the internet. To identify and address the underlying cause of neuro-musculoskeletal problems, and thereby minimise symptoms and dysfunctions, and assist the sustained optimisation of an individual’s function and well-being.